In a story that reminds me of the MPRRaccoon (see MPRRaccoon story here). 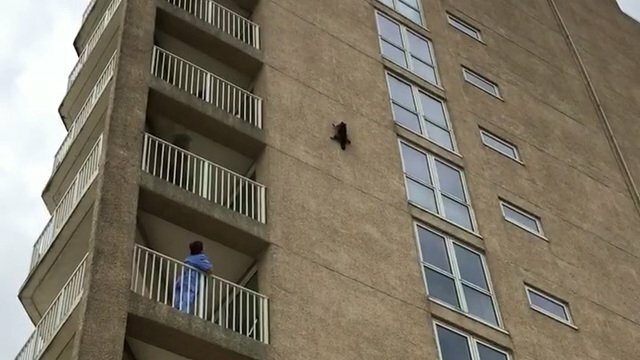 A raccoon in Ocean City, New Jersey, was nearly nine stories up the side of a building when it decided to jump off. The raccoon instinctively did its best impression of a flying squirrel and appeared to be unharmed as it scampered away once it hit the beach.